‘What’s the plan if Santa crashes?’ | Orange UK. 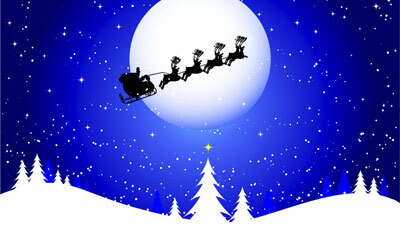 A council has been asked to reveal its plans for dealing with a crash landing by Santa’s present-laden sleigh. The request was one of several bizarre uses this year of the Freedom of Information Act, reports the Daily Telegraph. The applicant asked Cheltenham Borough Council who would rescue Santa, who would be responsible for rounding up the reindeer and which staff would get the job of clearing the crash site. The request made the second spot on the Local Government Association’s list of the top 10 most bizarre Freedom of Information Requests in 2011. The winner was a request to West Devon District Council about its preparations for helping soldiers defend against invasion by Napoleon’s marauding hordes. Both Bristol and Leicester city councils were quizzed about their readiness for a zombie invasion, while Merseyside Fire and Rescue Service was asked about plans for alien attack. Hampshire County Council was asked how many drawing pins it had – and what percentage were currently stuck in pin boards. And Cornwall Council faced requests about privacy holes being found in public toilet cubicles and money paid to exorcists. Peter Fleming, chairman of the LGA’s Improvement Board, said: “Councils are committed to transparency and accountability and put a lot of time and effort into ensuring that legitimate requests for information are met with full and comprehensive responses.